Seven NA teams and one APAC squad will advance to the championship winners bracket. 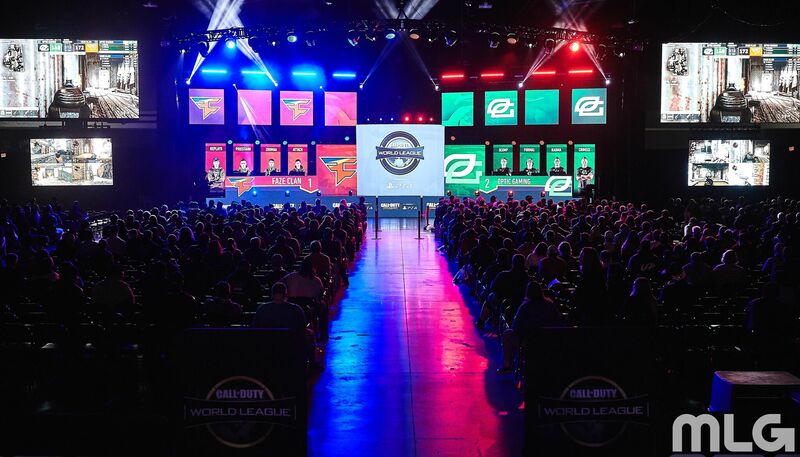 Pool play at this weekend’s Call of Duty World League LAN event has just wrapped up—and there were plenty of shocking results over the past two days. Friday featured a ton of great series at the 2018 CWL Atlanta Open, while there have been many sweeps and dominant performances so far on Saturday. Four open bracket teams qualified for pool play earlier today, and now that each team has completed their matches, we know who will be advancing into the championship winners bracket. Here are the final pool play standings at the 2018 CWL Atlanta Open (each team’s series record is followed by their map count in parentheses). Rise Nation, Luminosity, and Team Envy all continued their impressive play from Friday as they beat the open bracket team in their pool to finish undefeated in the group stage. All three of these teams will be the first seed from their respective group heading into the championship winners bracket. OpTic Gaming also secured the top spot in Pool C with a 3-1 record after defeating Team Heretics. Team Kaliber and FaZe Clan locked up the second seeds from their respective groups—but Mindfreak and Lightning Pandas shocked some fans by qualifying for the championship winners bracket. The Australians went 2-2 in Pool D, including impressive wins against Red Reserve and UNILAD, while Lightning Pandas’ map count helped them advance over CWL Pro League teams like Splyce and Echo Fox. Most notably, no European team qualified for the championship winners bracket at CWL Atlanta. The championship winners bracket is now set, and there will be a ton of intense matches later tonight. Team Kaliber vs. Team Envy and Rise Nation vs. FaZe Clan will take place in the top half of the bracket, while the other side consists of OpTic vs. Lightning Pandas and Luminosity vs. Mindfreak. CWL Atlanta will continue tonight as the championship winners bracket kicks off with Team Envy facing off against Team Kaliber right now.